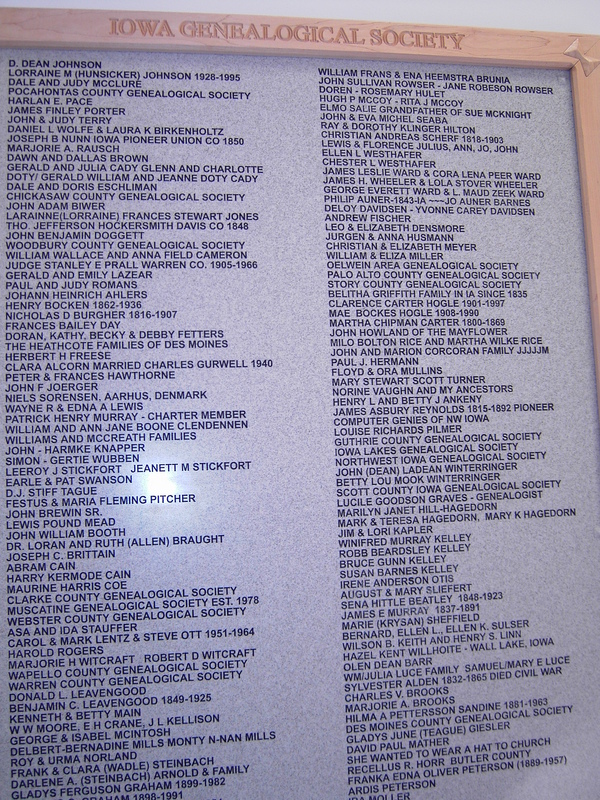 Honor your ancestor by making them a part of Iowa history. Add your ancestor to the IGS Memorial Wall. 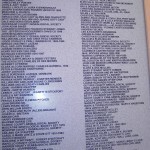 For $175 you can put up to 40 characters on the Memorial Wall in our front entry for all to see. A great gift or way to remember a loved one. Panel four is open for submissions. Download an application to mail to IGS. Listed below are all the names submitted to the society for placement on the wall. Enter a name in the search box. The P is the panel location left to right and the C is either the first or second column of the panel.